There’s a lot of sandwich talk going on around town lately. 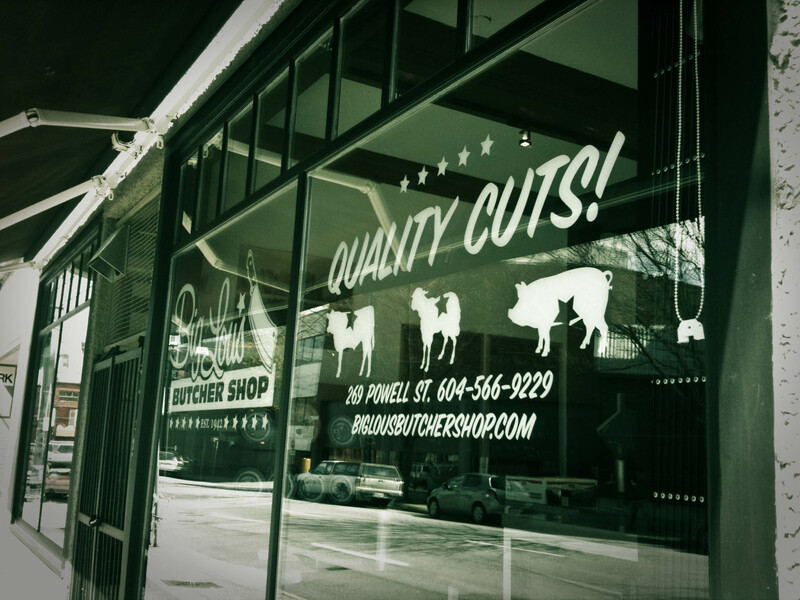 Meat and Bread, The Dirty Apron and newest on the scene Big Lou’s Butcher Shop. 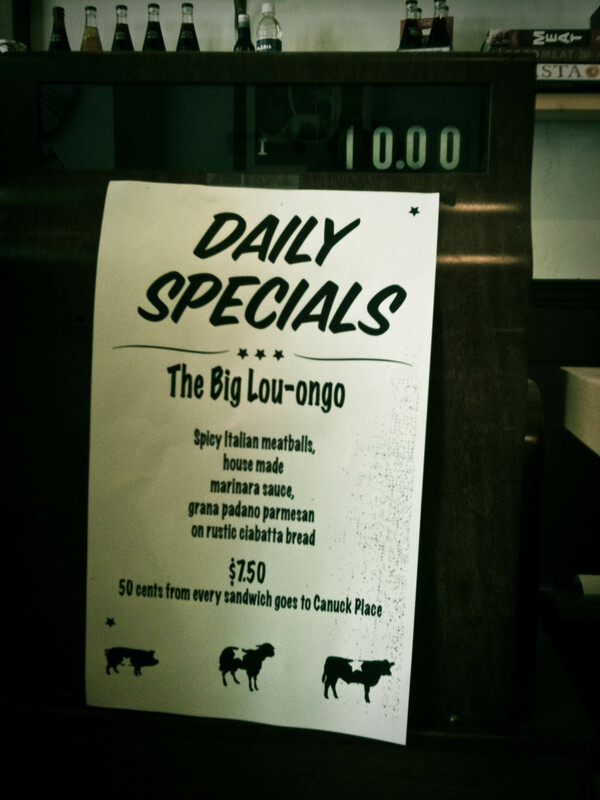 Ben has had Big Lou’s on the brain for the last few weeks, so it didn’t surprise me when I joined him for lunch that he would suggest sandwiches. 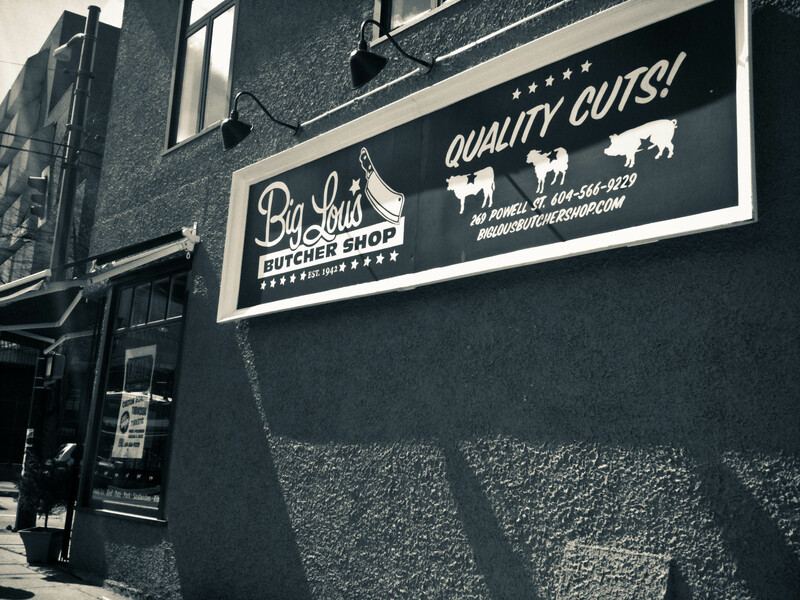 Like the others, it’s on the fringe of the Downtown Eastside, although Lou’s is on the east side of the DES. The good thing about the location, is that street parking’s plentiful and cheap! 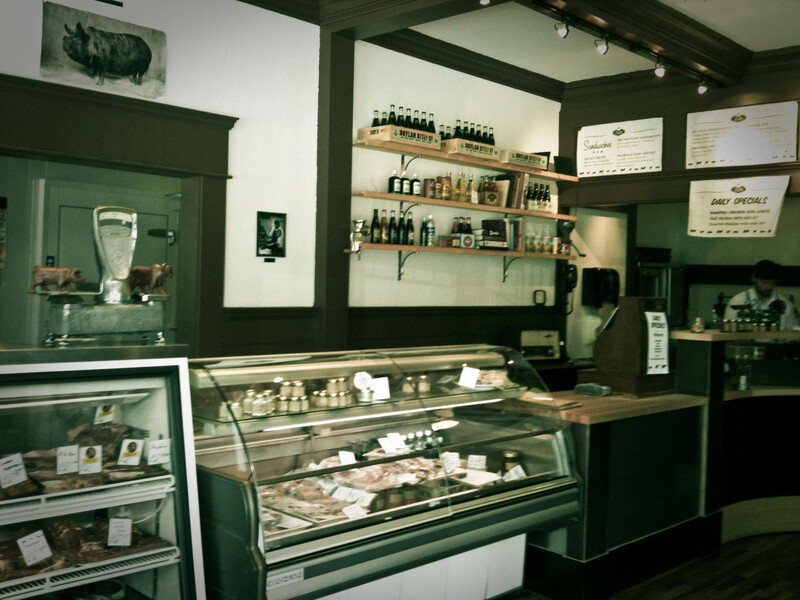 Inside it’s a full-on butcher shop, with locally sourced meats. I will definitely go back to visit the butcher. But today it was all about the sandwiches. I was curious about the Turducken sandwich, but then something taped onto the wonderful old wooden cash register caught my eye. 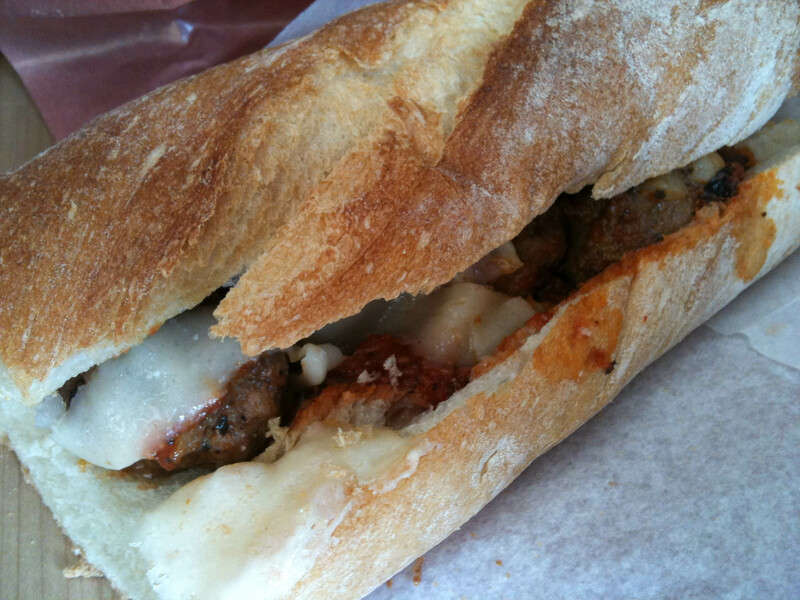 A meatball sub named after the amazing Luongo! How could I not support my team? 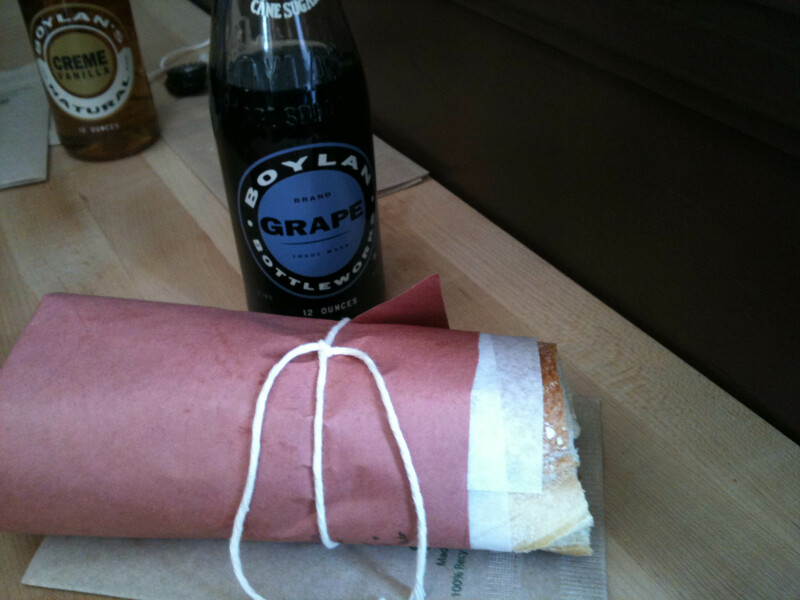 I like how they bundle the sandwiches like a present. I treated myself to a grape soda, but was kinda wishing for more of a Crush Grape chemically taste. The Big Lou-ongo – the meatballs were flavourful, and I liked that it wasnt too goopy, (although I know that would be a minus with some). The bread was crispy on the outside and soft inside. All in all, a really good sandwich. Ben got Big Lous Chicago-style with sausage, onions, pickles and lots of other good stuff. 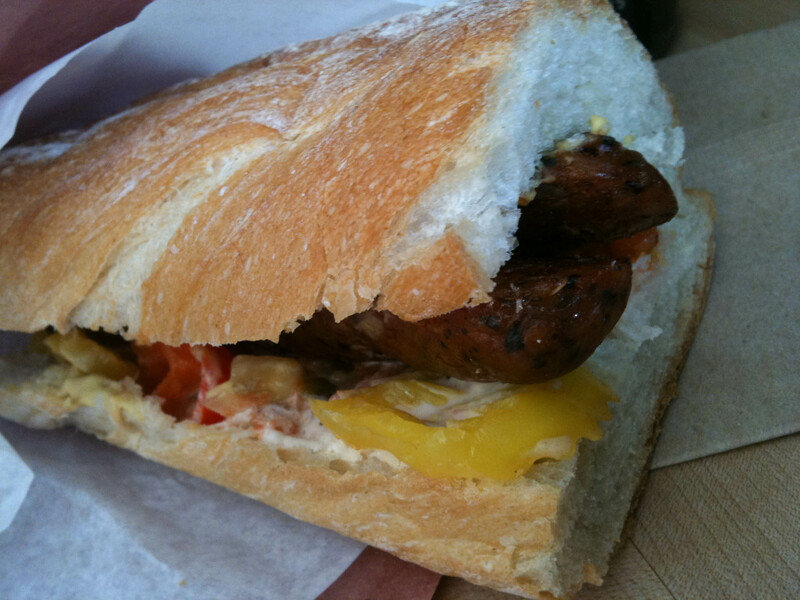 I found the casing on the sausage a bit hard to bite through, but other than that it was pretty darn good too! looks tasty, have you tried meat and break yet? Not yet, but it’s on the list. I’ve heard their porchetta sandwich is amazing.